Homes are the most commonplace locations for mold and spores to form, because houses have rooms that are left warmer than the rest of the house, and therefore subject to more humid temperatures and conditions—examples of these are kitchens and kitchen sinks, bathrooms, and basements. Moisture and damp areas that are left uncleaned for long periods of time usually become ideal environments where mold can thrive and grow into a colony. 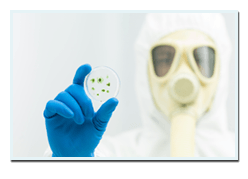 Mold growth is associated with bacteria that thrive in moist environments, and are usually green, brown, or black in color. Aside from their odd-looking appearance and tinge, rooms that have become infested by mold start smelling weird and are irritating when inhaled. Since mold formations come from millions of bacteria that can cause viral infections to those who are exposed to it, it poses some health risks that can compromise the immune system of an individual living inside a house. Those who are more susceptible to infection and diseases, like babies, infants, or old people, are even more at risk. When mold is left untreated or not removed from a house, individuals may risk getting infected by other viruses due to a weakened immune system. To avoid this, homeowners are advised to ask for professional help from companies that specialize in mold testing, removal, and remediation, like us. 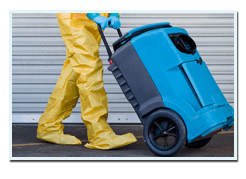 We are the top mold remediation company in San Francisco providing homeowners with quality and affordable mold removal services 24/7. 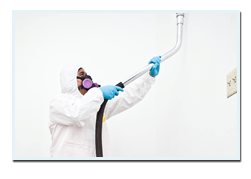 We make sure that any and all traces of mold and spores are fully removed from a house. 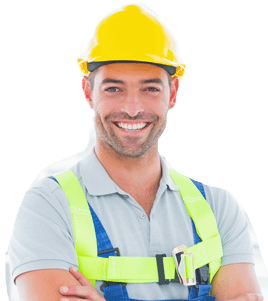 Furthermore, we guarantee that mold that has been removed will not return and cause the growth of mold colonies. We also provide mold testing for houses where traces of mold are not easily seen by the naked eye.